'The New Nomads: Have Wifi, Will Travel' was originally printed by the New York Times in the Sunday Style section on April 15, 2018. Written By Ronda Kaysen. Peering into a webcam, her face intermittently frozen over an iffy Skype connection in Medellin, Colombia, Lizz Quain was explaining not long ago why she uprooted her 9-year-old twins almost a year and a half ago to travel the world. Ms. Quain, who is in her 40s, owned a children’s play cafe and preschool near Seattle before she renounced her American middle-class existence in August 2016, fed up with what she described as a stifling, consumerist culture. Once Donald J. Trump was elected president, she made a common liberal refrain — “If Trump wins, I’m leaving the country” — reality, deciding not to return home with her daughters, Aubrey and Gabriella. After traveling through Asia and Europe, she is now figuring out how to start a business selling products through Amazon to finance the life of an itinerant-by-choice single mother. The Quains are not the only family that has of late dispensed with the trappings of the American dream (house, school, career) and gone nomad. Hopping from one vacation rental to the next or piling into R.V.s, they have sold or rented out their homes and unloaded most of their possessions, financing their travels with savings or work done remotely. Just like late-1960s hippies, right? But living an untethered life has gotten easier now that many people need only a laptop and a fast internet connection to earn a living. Websites like Nomadlist help people decide where on Earth to go. The rise of Airbnb makes it easy to rent space in most corners of the globe with a swipe of your iPhone. Roving parents can find global play dates and moral support on Facebook groups like Worldschoolers, which has about 40,000 members. Ms. Quain expects to spend about $1,700 a month on housing, day camp, activities and a nanny in Medellin. Paul Kortman, who, with his wife, Becky Kortman, wrote “Family Freedom: A Guide to Becoming a Location Independent Family,” estimates that a family could travel indefinitely on $60,000 a year, a salary he says could be earned with a little ingenuity. It does help, though. 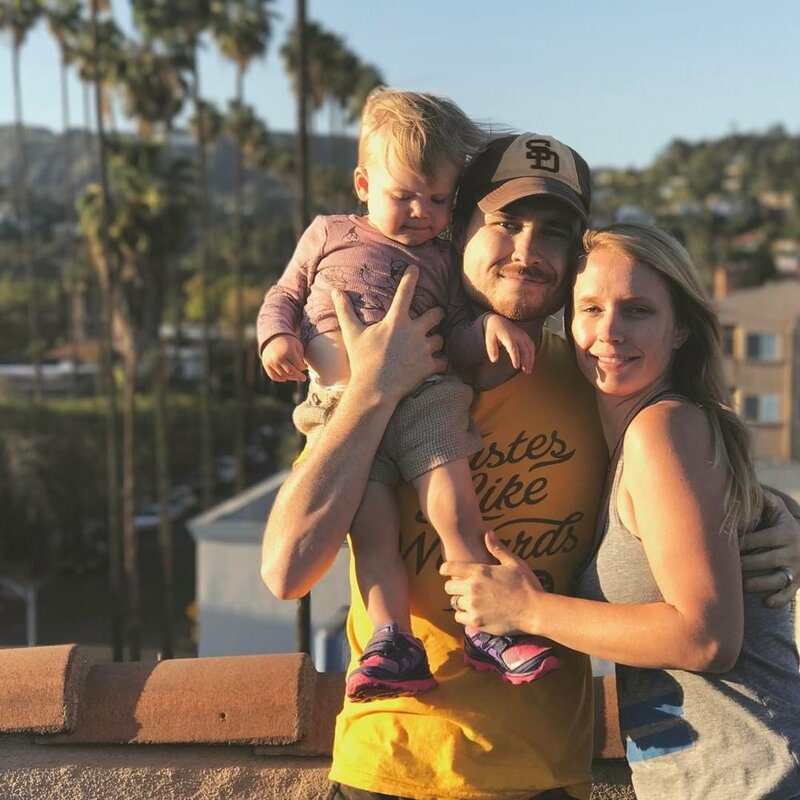 Matthew Gillespie, 31, works remotely full time as a web designer, allowing him; his wife, Chelsea Gillespie, 30; and their 2-year-old daughter, Kailen, to travel indefinitely through Europe, blogging about it at Unsettledown. They left San Diego last May, finding it too expensive. Last spring, he and his wife sold their car, their furniture and most of their possessions for about $10,000. So far, traveling has been cheaper. In Croatia, for example, their expenses fell by 60 percent, allowing them to pay down their student loans faster. “If we can make it work, then we’re going to keep going as long as we can,” Mr. Gillespie said. Mr. and Ms. Gillespie travel with High Sierra backpacks. Kailen has her own pack, too: a tiny one shaped like a bumblebee. They pared down their belongings to the bare essentials, although Ms. Gillespie did carry an orange Bebe skirt and Zara top around Italy all summer because she thought it would make for a great photograph in Florence (she got her shot and unloaded the outfit). “It was totally impractical,” she said. A nest egg makes such trips far less nerve-racking (just be wary of traveling somewhere like Monte Carlo and re-enacting that famous scene from 1985’s “Lost in America” when Julie Hagerty’s character loses it all at a Las Vegas casino). Jessica and William Swenson are financing an 11-month around-the-world trip with their three small children through a mix of savings, inheritance, a severance package and the income from renting out their four-bedroom house with a pool in Livermore, Calif.
Last October, the Swensons set off for China, alerting local media outlets about their adventure. Mrs. Swenson, 34, a photographer, has an Instagram account and a YouTube channel called LetsAdventureSomeMore to document the whirlwind journey, and, perhaps, monetize it. The family is traveling light, carrying only backpacks — even the children, Ezra, 8, Theo, 6, and Vesper, 5, have them — with a few changes of clothes. Mr. Swenson, 36, an accountant, bald with a full beard, wears a kilt. “He’s Scottish and loves the un-bifurcated life,” Mrs. Swenson said, speaking over FaceTime from an Airbnb in Bali, Indonesia. The family was waiting out a volcanic eruption, hoping their flight to Australia would not be canceled because of ash. The Swensons embarked on the trip as a sort of lemonade-from-lemons move after Mr. Swenson’s job relocated, his mother died and the family’s live-in child care moved out. But not everyone who takes their life on the road does so to escape an unsatisfying one. Sonja Jernstrom, 37, and Chris Jernstrom, 36, left their home in Seattle in June to take a 14-month trip around the world with their two children, Ben, 7, and Emma, 4. They’re driving through the Americas in a truck with a 70-square-foot camper before they head off to Asia, the Middle East and Europe. “It was an opportunity to take a midcareer break,” said Mr. Jernstrom, who quit his job in investment management; Ms. Jernstrom is a former environmental scientist. The family is financing their travels with savings and income earned renting out their four-bedroom house out on Airbnb.